Sports Interaction is an online betting site licensed in Canada and New Jersey. 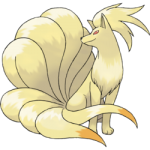 They are considered to be one of the easiest sites to use for sportsbetting, poker, and casino games. 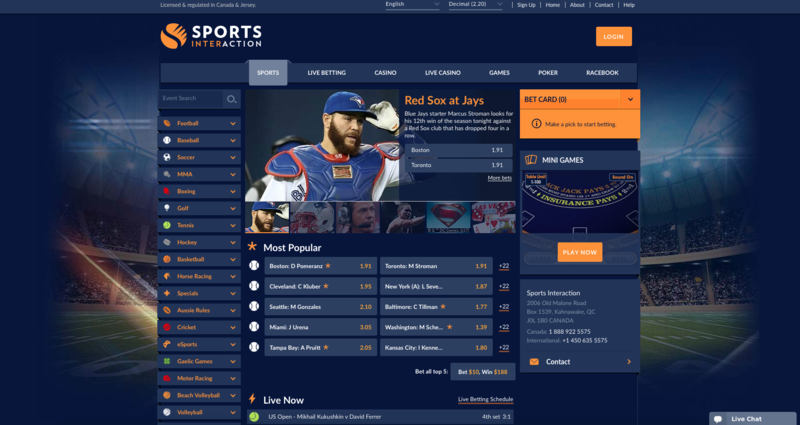 For April 2019 Sports Interaction are offering new customers a 100% first deposit match up to $200 when you join using this month’s promo link. 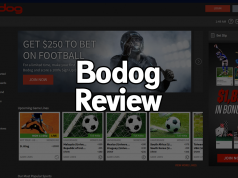 Keep reading our Sports Interaction review to decide if this is the right betting site for you. New customers will receive a 100% first deposit match up to $100 when they sign up using the April 2019 Sports Interaction promo link. The bonus will be applied automatically when you join with no promo code needed! The Sports Interaction signup bonus is a great way to start building your bankroll. 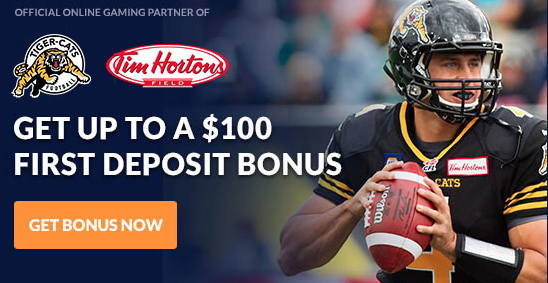 By claiming the April 2019 signup bonus Sports Interaction will give you a match on your first deposit up to $100 CAD. This means if you deposit $100 you will have an additional $100 to bet with. You can fund your account using a variety of convenient payment methods. The most popular option is with VISA and MasterCard credit or debit cards. You can also deposit directly from your Canadian bank account using iDebit, InstaDebit, InstantBanking, and eCheck. 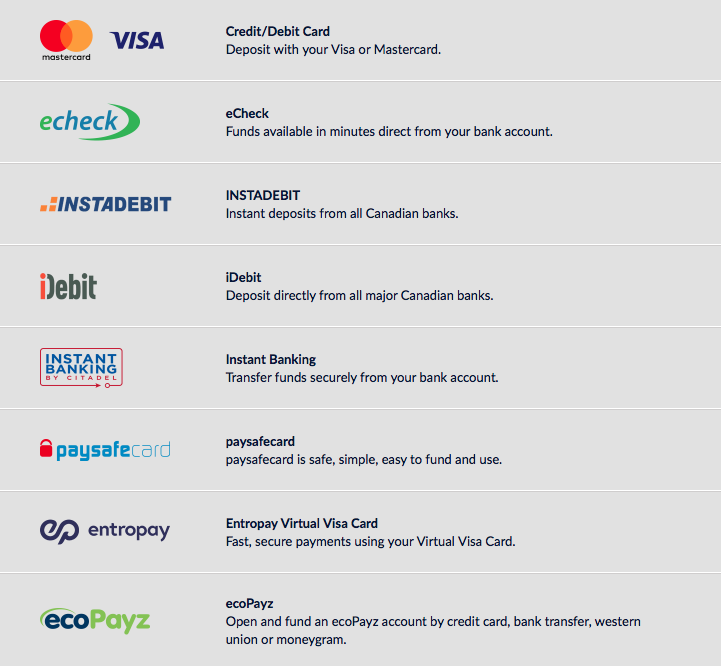 Sports Interaction also accepts virtual cards via EntroPay, PaySafeCard, and ecoPayz. This is one of the safest betting sites available to Canadian sportsbettors. One thing that we love about Sports Interaction is their quick withdrawals. You can cashout your winnings in 1-2 business days. 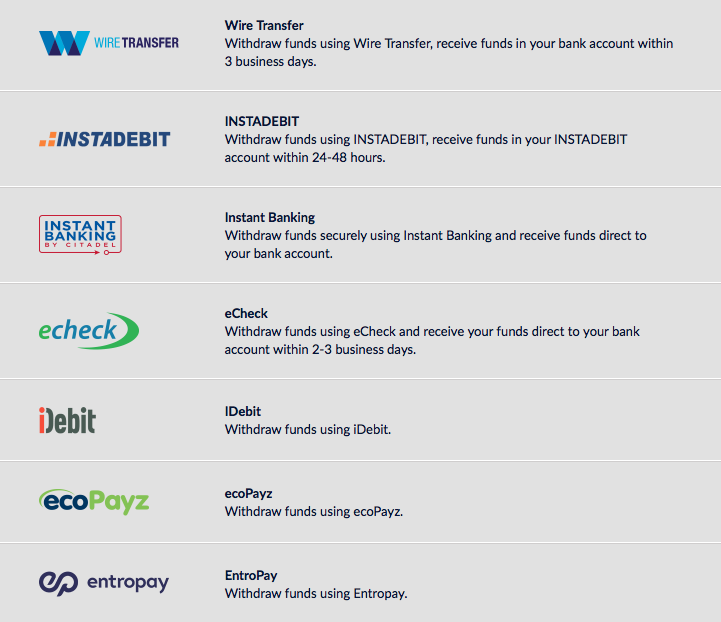 You can request a payout directly to your bank account through iDebit, InstaDebit, InstantBanking, and eCheck. You may also request a bank wire transfer although we recommend standard transfers instead. Finally you can withdraw your money through ecoPayz or EntroPay virtual cards. SportsInteraction is the easiest Canadian betting site to claim your money from with their quick payout times and minimal processing fees. Wagering is available for all of the major sports including hockey, football, basketball, and baseball. You can also bet on all of the top European soccer leagues. Sports Interaction is one of the top Canadian betting sites for offering a wide range of sports and leagues to bet on. 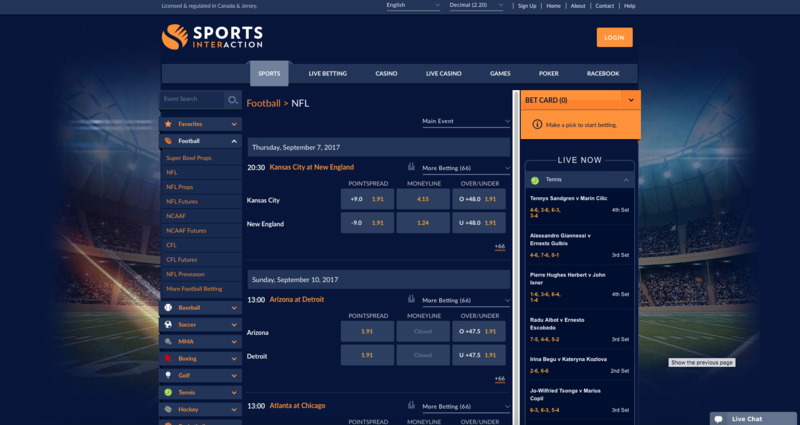 This sportsbook offers plenty of unique betting markets including team and player props allowing you to bet in many different ways. 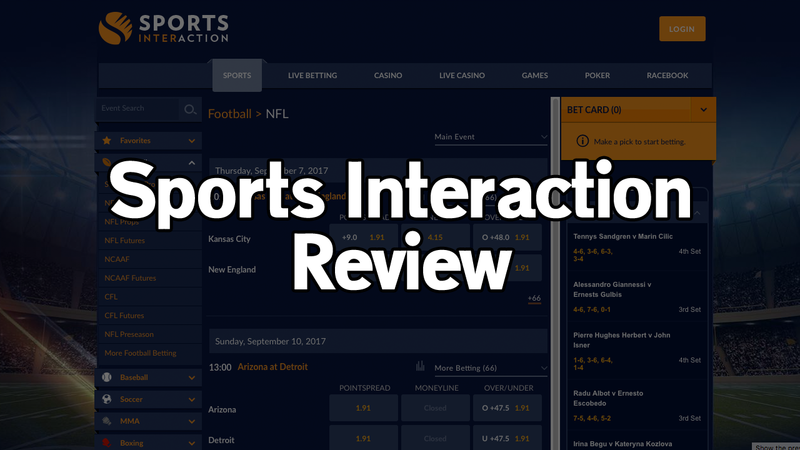 Sports Interaction is what we call a square betting site. This means that their oddsmakers adjust their lines in order to make the public side of the betting market worse to bet on relative to other sportsbooks. You can use this to your advantage by betting against the adjustment in order to get better odds. It is always important that you compare the lines at multiple betting sites to ensure you always get the best available price. In-play wagering is enabled for hundreds of hockey, soccer, football, basketball, baseball, and tennis matches each day. 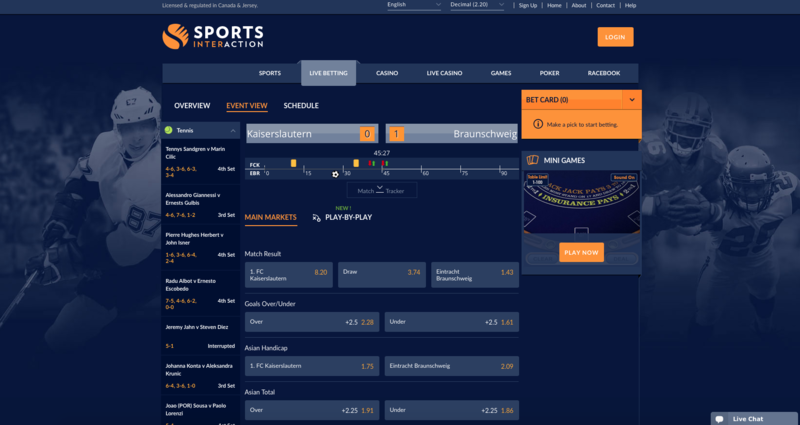 Plenty of unique livebetting markets are available for each match. A dynamic interface lets you track game progress before you place a wager. Our only criticism of Sports Interaction’s livebetting system is the low betting maximums on certain markets. Sports Interaction is an online betting site licensed and regulated in Canada. 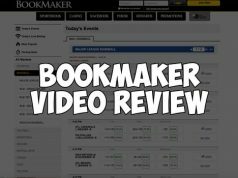 They are one of the easiest sportsbooks to get started with. 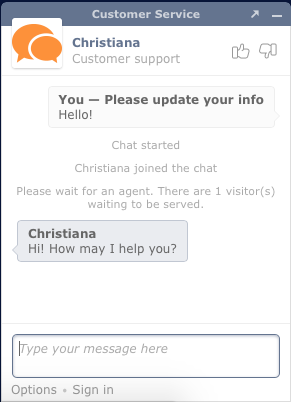 New customers get a 100% signup bonus to get started with. You can fund your account instantly through credit card, debit card, or direct bank transfers. All payouts are fully processed in 1-3 business days. 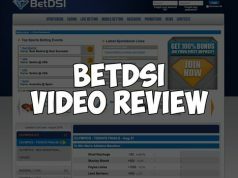 This is a great betting site for casual sportsbettors looking to get started on their betting journey.